Futebol Clube do Porto kicked off their 2015/16 season in the best way possible on Saturday night, trouncing Minho giant Vitória de Guimarães 3-0 in front of a near-capacity crowd. A brace from Cameroonian young starlet Vincent Aboubakar would prove doubters wrong after a frustrating preseason in front of goal, as the name Jackson Martinez looks to become a distant memory. FC Porto dominated most of the match against Armando Evangelista’s largely inoffensive Vitória, with Maxi Pereira and Giannelli Imbula enjoying fine debuts, producing sumptuous assists for the 2nd and 3rd goals. Silvestre Varela also impressed on his return to the Dragão, netting a fine effort to complete the rout. This entry was posted in Match Reports and tagged 4123, 4231, 433, Aboubakar, Adrian, Adrian Lopez, Alberto, Alex, Andre, Angel, Atlantic, Atletico, Benfica, Brahimi, Bueno, Campeonato, Casemiro, Casillas, Clube, Coruna, Cristian, Danger, Dani, Danilo, Deportivo, Dragao, eleven, Estadio, Fabiano, FC, FC Porto, Fenerbahce, Florentino, Football, Footballer, Friendly, Futebol, Giannelli, Gudino, Guimaraes, Helton, Igor, Iker, Imbula, Inigne, Inter, Jackson, Jose, Juan, Julen, key, Legend, Lenda, Lichnovksy, Liga, Lopetegui, Lopez, Madeira, Madrid, Maggio, Malaga, Maritimo, Market, Martinez, Match Report, Maxi, men, Milan, Napoli, Oliveira, Oliver, Osvaldo, Pablo, Pearl, Pereira, Perez, Pinga, Pinto da Costa, players, Porto, Portugal, predictions, Presentation, Primeira Liga, Quaresma, Quintero, Raul, Real, Report, Ricardo, Ruben, Sandro, Sergio, Silva, Stadium, starting, tactics, Tello, Torres, Transfer, Varela, Vincent, Vitoria, Yacine on August 19, 2015 by mitchellrua. What has Lopetegui learnt from last season? After a season that many argued was taken lightly by Julen Lopetegui, with Jorge Jesus’ Benfica coming out on top in both editions of O Classico; Porto barely made a whimper of contention when it counted in a title race that many expected them to take by the scruff of the neck. Lopetegui has looked to emulate a game reminiscent of Barcelona’s Tiki Taka: a high possession, high pressure game. The latter is an area that has been carped by pundits and analysts, as Casemiro’s ineptitude as the sole midfield anchor and Herrera’s dearth defensively as the No. 8 were highlighted. In this way, the side’s structure has been experimented with this preseason, specifically in the centre of the pitch. Investment in a host of names, whose defensive aptitude either as a No. 6 or ball carrying No. 8, in the form of André André, Sergio Oliveira, Danilo Pereira and Giannelli Imbula has seen Lopetegui experiment with a 4-2-3-1/4-2-1-3 against the likes of Valencia and Stoke City, amongst others. By the same token, the likes of Brahimi and Tello, who are expected to start on the flanks, would be given greater freedom, as well both Hector Herrera and Alberto Bueno, with the latter pinned to play as Lopetegui’s No. 10 or centre-forward behind the striker. This move towards a midfield base of two deeper lying midfielders would almost certainly include Imbula, who has mostly featured as No.8 in midfield with a tendency to play close to the No.6, although with Herrera back in the fold, could find himself at Porto’s definitive midfield lynchpin. Nevertheless, a system with two more defensive-minded midfielders would likely be implemented against stronger opposition, both domestically and in Europe, as Lopetegui lacked a Plan B last season. His atypical 4-3-3 should feature predominately, although with a greater defensive base than last season. This entry was posted in Uncategorized and tagged 4123, 4231, 433, Aboubakar, Adrian, Adrian Lopez, Alberto, Alex, Andre, Angel, Atletico, Benfica, Brahimi, Bueno, Casemiro, Casillas, Coruna, Cristian, Dani, Danilo, Deportivo, Dragao, eleven, Estadio, Fabiano, FC, Fenerbahce, Florentino, Friendly, Giannelli, Gudino, Helton, Igor, Iker, Imbula, Inigne, Inter, Jackson, Jose, Juan, Julen, Lichnovksy, Lopetegui, Lopez, Madrid, Maggio, Malaga, Market, Martinez, Maxi, Milan, Napoli, Oliveira, Oliver, Osvaldo, Pablo, Pereira, Perez, Pinto da Costa, Porto, Portugal, Presentation, Primeira Liga, Quaresma, Quintero, Raul, Real, Ricardo, Ruben, Sandro, Sergio, Silva, Stadium, starting, tactics, Tello, Torres, Transfer, Varela, Vincent, Yacine on August 15, 2015 by mitchellrua. Porto finished in 2nd place for a consecutive season as Benfica triumphed again, a feat that had not been achieved in over 30 years. A strong showing in the UEFA Champions League, where the Dragons went undefeated before falling to Bayern Munich in the quarter-finals, remunerated domestic shortfalls after being knocked out early in the Taça de Portugal and falling to Marítimo in the semi-finals of the Taça da Liga (League Cup). Having arguably lost their three best performers last season in the form of Jackson Martinez, Oliver Torres and Danilo, Porto will expectedly undergo a period of transition in the early season. Nevertheless, adept signings and needed depth in all positons, particularly in midfield, has placed them as firm favorites for the title and a strong European campaign with Lopetegui being one season the wiser. 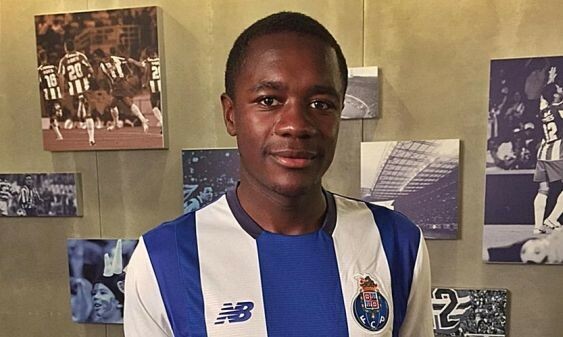 Arguably, Porto’s difference maker this season could well be Giannelli Imbula. With Casemiro and Herrera struggling last season to stamp his authority defensively, the tools that the Frenchman brings to the table, either at the No.6 or No.8, must not be taken for granted. The striker is the one player who can turn an imminent defeat into three-points at the bat of an eyelid. Jackson Martinez was that player, and with his exit Lopetegui has looked to his replacement, and a number of names have been mentioned. Vincent Aboubakar, Pablo Dani Osvaldo and André Silva are all in contention, granting that the former two lead the race for the No.9 spot. Whoever takes the Colombian’s mantle will arguably make or break Porto’s title credentials. Last season’s revelation, Yacine Brahimi (albeit mostly limited to Europe), will provide goals, assists and a threat from any dead ball situation. Captain and Porto mainstay Maicon will need to build on last season’s defensive fragilities as he leads the back four; alongside Iker Casillas, whose undoubted experience on the big stage could make the difference in the big ties that saw Fabiano play the proverbial deer in headlights. This entry was posted in Uncategorized and tagged Aboubakar, Adrian, Adrian Lopez, Alberto, Alex, Andre, Angel, Atletico, Benfica, Brahimi, Bueno, Casemiro, Casillas, Coruna, Cristian, Danger, Dani, Danilo, Deportivo, Dragao, Estadio, Fabiano, FC, Fenerbahce, Florentino, Friendly, Giannelli, Gudino, Helton, Igor, Iker, Imbula, Inigne, Inter, Jackson, Jose, Juan, Julen, key, Lichnovksy, Lopetegui, Lopez, Madrid, Maggio, Malaga, Market, Martinez, Maxi, men, Milan, Napoli, Oliveira, Oliver, Osvaldo, Pablo, Pereira, Perez, Pinto da Costa, players, Porto, Portugal, Presentation, Primeira Liga, Quaresma, Quintero, Raul, Real, Ricardo, Ruben, Sandro, Sergio, Silva, Stadium, Tello, Torres, Transfer, Varela, Vincent, Yacine on August 15, 2015 by mitchellrua. Porto has already dipped into the transfer market extensively, having already covered the departures of some big names. If there was a position of fragility, whether it is in terms of personnel or depth, it would have to be at the No. 10 position. Although traditionally a striker or centre-forward, Alberto Bueno has been drafted in as Porto’s ‘creative outlet.’ Looking the part in preseason, the Spaniard looks largely undisputed, with a dearth of talent who are apt at the No. 10 role. Irrespective of that, the likes of Oliver Torres, Lucas Lima, Bernard and Braga’s Rafa have all been targeted as contenders, although a move looks unlikely for all of them. Congruently, with the centre of defense a problematic area last season, Os Dragões may look to strengthen their options at centre-half. With Martins Indi yet to impress having lost his starting spot to Marcano, and Lichnovsky the only other option aside from the Dutch international. Stuttgart centre-back Antonio Rüdiger had been mentioned as a possible reinforcement after speculation surrounding Maicon’s exit to Fenerbahçe, in light of Diego Reyes and Adboulaye Ba’s moves abroad on loan. Any talk of a tranfer for the 22-year-old German international has disspiated, with Simon Kjaer’s move to the Turkish giants assuring Maicon will stay put as Porto’s skipper, although a move for his potential partner in the centre of defence is not out of the question. Porto’s golden boy and fan favorite Ruben Neves will be looking to build on a successful last campaign where he featured predominately off the bench. A dream debut where he scored his first goal for Os Dragões, the Olival graduate’s path to the starting eleven was blocked by Casemiro. The likes of Danilo Pereira, Imbula and André André will provide even stiffer competition, but Neves has already earmarked by Lopetegui as a crucial squad member and contender for the No. 6 spot. Congruently, U20 FIFA World Cup superstar and cited future Portugal No. 9 André Silva has impressed, scoring a brace in preseason having been picked ahead of Gonçalo Paciência who’s been loaned out to Académica de Coimbra. Also, Chilean youngster Igor Lichnovsky will have his opportunities as Porto’s 4th choice centre-back after Diego Reyes was loaned out to Real Sociedad. This entry was posted in Uncategorized and tagged Aboubakar, Adrian, Adrian Lopez, Alberto, Alex, Andre, Angel, Antonio, Atletico, Benfica, Brahimi, Bueno, Casemiro, Casillas, Coruna, Cristian, Dani, Danilo, Deportivo, Dragao, Estadio, Fabiano, FC, Fenerbahce, Florentino, Friendly, Giannelli, Gudino, Helton, Igor, Iker, Imbula, Inigne, Inter, Jackson, Jose, Juan, Julen, Lichnovksy, Lima, Lopetegui, Lopez, Madrid, Maggio, Malaga, Market, Martinez, Maxi, Milan, Napoli, Oliveira, Oliver, Osvaldo, Pablo, Pereira, Perez, Pinto da Costa, Porto, Portugal, Presentation, Primeira Liga, Quaresma, Quintero, Rafa, Raul, Rüdiger, Real, Ricardo, Ruben, Sandro, Sergio, Silva, Stadium, Tello, Torres, Transfer, Varela, Vincent, Yacine on August 15, 2015 by mitchellrua. The Estádio do Dragão crammed 48, 109 Portistas on Saturday night as FC Porto presented a 27-man-strong squad. The Dragons controlled the match against a cautious Napoli side, but could not muster a goal as the party continued to roll on into the night. The party atmosphere that was the Dragão bayed for blood and goals as Porto looked to oblige, but, as expected, Napoli came up with a defensive team determined not to concede, encapsulating the traditional Italian Catenaccio. A firm test in the midst of a tough tie against Vitória de Guimarães at the same ground, Lopetegui’s charges will have to put on their shooting boots next time round as countless guilt-edged opportunities littered the first half and Reina’s goal, who kept the scoreboard intact. Despite the lack of goals, the debut of Dani Pablo Osvaldo, and the return of Cissokho to the Dragons six years later, were both received with raucous applause. Nevertheless, the tie had its downsides, as the French defender on loan from Aston Villa and Yacine Brahimi both went out injured. Four days after the returning to his former club where he arguably played his best football, Cissokho deputized in the starting eleven at left-back, with Rúben Neves, Imbula and Herrera in the middle of the park. Up front, Varela, Aboubakar and Brahimi started, with Tello coming in for the Algerian after 18 minutes. Despite the early setback, the blue and whites still dominated the first-half, showing a clear intention to please the fans and take the game to the Italians. Four minutes in, Herrera almost opened the scoreboard, with his just going over the top bar, and less than ten minutes after, Ivan Marcano headed just wide of the post following a cross from Varela. At the half-hour mark, Herrera was once again part of the action as he missed the target when it might have been easier to score after a Maxi pass from the right. Varela was particularly active, both on the right and on the left, but a lack of proficiency was obvious, as Napoli continued to play on the counter, mustering only one opportunity in the first-half, an Insigne effort that forced Casillas into a difficult save. By the end of the first half, apart from the substitution of the injured Cissokho for José Ángel, Lopetegui changed five players at the break. Casillas, Marcano, Rúben Neves, Herrera and Varela were replaced by Helton, Martins Indi, Danilo, André André and Bueno, who took up a role an unaccustomed role on left flank, whereas he normally played as Porto’s No.10 in preseason. With starting eleven berths still up for grabs, and competition still rife, five direct competitors were thrown into the fray in the hope of making a claim. Contrastingly, the pace of the match did not let up, although its flair dissipated. Before another flurry of substitutions at both ends, Porto had a decent penalty shout after Maxi Pereira was pulled down in the box by Hysaj, only for the referee to wave away any appeals. The changes in personnel continued as not one single Porto player played for the full 90 minutes. As a result, Lopetegui’s side lost their stringent tactical organization, as the match began to favor the defensive football adopted by Napoli. Maggio would find himself isolated in Helton’s midst past the hour-mark, only to sky his effort over the bar; moments after Tello could not pick out Osvaldo who had found space in the Napoli box. The last effort of note would fall to Os Dragões 15-minutes from time, as Ricardo forced Pepe Reina into a tight save, with José Ángel firing agonizingly wide on the follow up from outside the area. 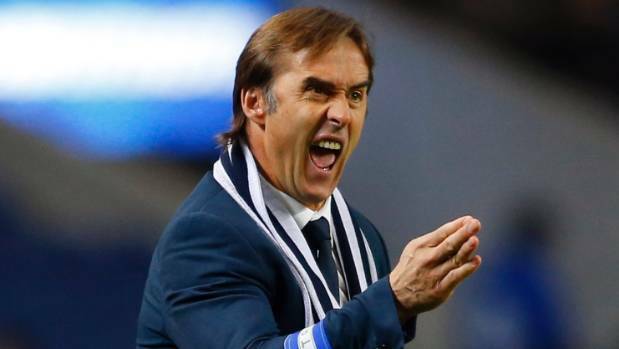 Julen Lopetegui and his side will now shift their focus to a week from now and the start of the Primeira Liga at the Estádio do Dragão (20:45 Lisbon time) against Vitória de Guimarães. This entry was posted in Uncategorized and tagged Aboubakar, Adrian, Adrian Lopez, Alberto, Alex, Andre, Angel, Atletico, Benfica, Brahimi, Bueno, Casemiro, Casillas, Coruna, Cristian, Dani, Danilo, Deportivo, Dragao, Estadio, Fabiano, FC, Fenerbahce, Florentino, Friendly, Giannelli, Gudino, Helton, Igor, Iker, Imbula, Inigne, Inter, Jackson, Jose, Juan, Julen, Lichnovksy, Lopetegui, Lopez, Madrid, Maggio, Malaga, Market, Martinez, Maxi, Milan, Napoli, Oliveira, Oliver, Osvaldo, Pablo, Pereira, Perez, Pinto da Costa, Porto, Portugal, Presentation, Primeira Liga, Quaresma, Quintero, Raul, Real, Ricardo, Ruben, Sandro, Sergio, Silva, Stadium, Tello, Torres, Transfer, Varela, Vincent, Yacine on August 9, 2015 by mitchellrua. The coach of FC Porto confirmed today that the Spanish forward and former Atlético Madrid forward Adrián López will not figure into Julen Lopetegui’s plan for the new season. “Things did not go as we expected and we had to make a decision. These things happen in football,” affirmed the Porto gaffer when asked about the absence of the player in the presentation game last night in front of a capacity crowd. Adrián López had joined the Dragons last summer for €11M for 70% of his rights, with a release clause of €60M. Since then, the former Málaga and Deportivo de La Coruña marquee has found playing time hard to come by, with his market value plummeting in the recent season. This entry was posted in Uncategorized and tagged Adrian, Adrian Lopez, Atletico, Coruna, Deportivo, FC, Julen, Lopetegui, Lopez, Madrid, Malaga, Porto, Portugal, Transfer on August 9, 2015 by mitchellrua.